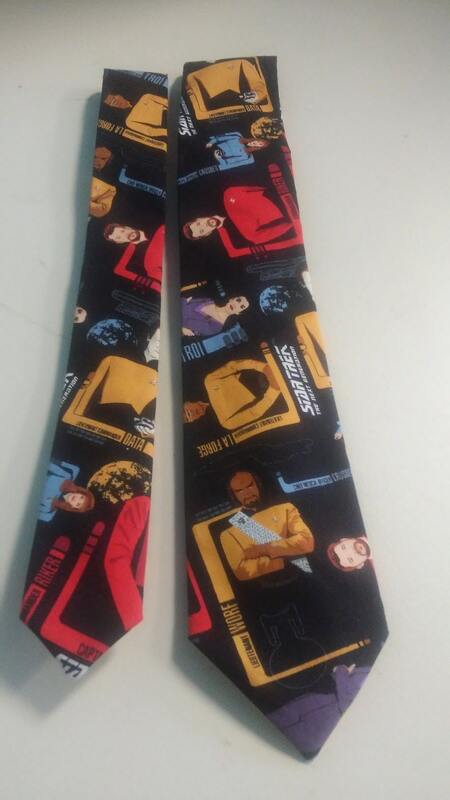 Star Trek Next Generation Necktie in skinny tie, and kids bow tie. Great for any fan. Adult bow tie is self-tie, sized to 16.5", custom length available at no charge. Kids’ bow tie comes pre-tied, and has back elastic to allow it to slip over the head. An interesting design but a cheaply made tie. The flaps on the back are not even sewn together! A little wider than expected but good quality. Great! my husband loved loved it! !